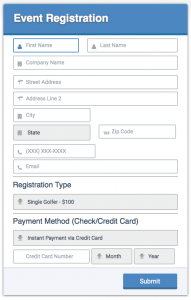 NAC can create a secure online instant payment / membership sign-up pages custom tailored to your existing website. This secure dedicated page is completely customizable and can capture as little or as much information as desired. For clients already using our billing platform, these sign-up pages are fully integrated to support recurring billing via Credit Card or ACH.